If you do the six major compound movements – the squat, hip hinge, vertical press, vertical pull, horizontal press, and horizontal pull – you’re bound to see success. These are the movement patterns every complete workout program contains. Problem is, not every variation is best for everybody. The “movements for most” are less technical variations that most healthy lifters can do. The risk for injury is relatively low, so you can think of them as prerequisites in order to move onto the “movements for some,” which are a bit more technical. Now, don’t misunderstand this: The exercises that are “best for most” should in no way be thought of as inferior. The “movements for some” simply require a bit more technique and learning curve to get results without getting injured. 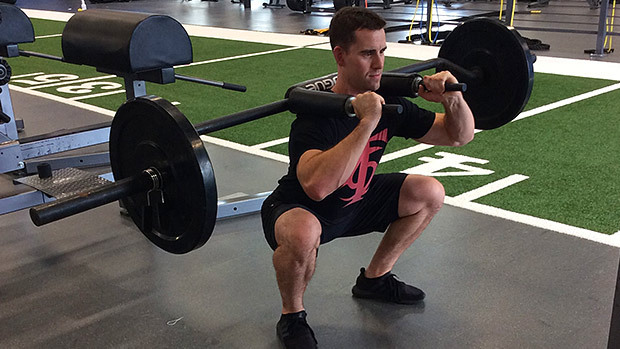 The back squat is the primary squat variation in most training programs for good reason. It allows you to lift more weight than other variations of the squat, which will ultimately lead to greater strength gains. Although this movement does require technique (as all exercises do) it’s one of the easier squat patterns for a beginner to pick up. If you have a shoulder injury, you can always substitute a barbell back squat for a safety-bar back squat if your gym has one. You need to be able to lift your elbows up and keep them high while squatting. This is called a rack position, and a lot of people either lack this ability, or don’t understand how to hold the bar. Notice that the elbows are pointed down. If you don’t have the mobility to do a front squat, you could use a cross grip or straps. However, most beginners have a hard time keeping the bar in place when doing these, which is why this movement falls under the “squat for some” category. If your gym has a safety squat bar, this would be your best bet to learn the movement. Even if you can’t get in the rack position, you can use this alternative. Another alternative to the rack position. If you understand the front squat movement pattern well and have the straps, try it. If you have proper front squatting mechanics, this is another valid alternative to the rack position. 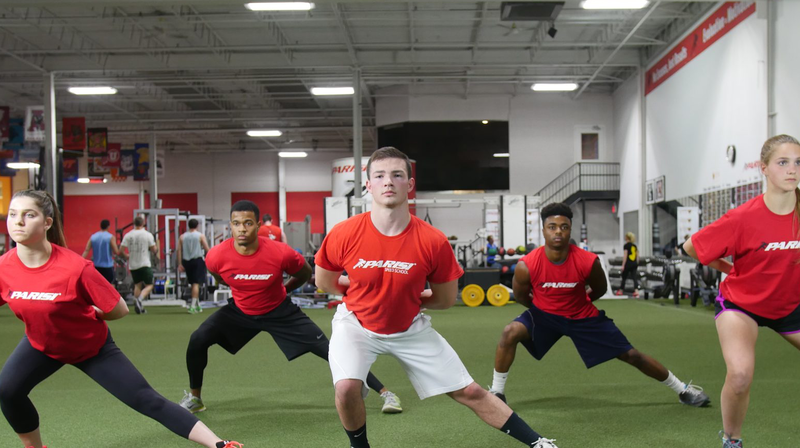 The hip hinge is a movement where you bend at the hips. Hip hinging is a great way to develop strength through your entire posterior chain, and the trap bar deadlift is one of the more back-friendly variations that’ll still allow you to develop incredible strength. Being in the center of the bar takes a significant amount of stress off your spinal erectors while still allowing you to develop powerful hips. It’s a great way to learn the deadlift when first starting out and is useful for those with mobility issues. This is a classic strength exercise staple, but it isn’t for beginners or lifters who have lower back issues. Here’s what good form looks like. The straight bar deadlift places significantly more stress on your spinal erectors than a trap bar deadlift, so if you have mobility issues, or a bad back, this is probably not the variation for you. This is what bad deadlifting form looks like. The straight bar deadlift is more technical than other variations of the hip hinge, like the trap bar deadlift. So if you’re new to lifting, you may not know how to keep a strong, flat back while keeping the bar close to the shins. Vertical pressing is an essential skill to have if you want functional strength. The one-arm dumbbell press is a joint-friendly pressing variation that allows your shoulder to go through its natural range of motion. Start with a neutral grip and rotate the palm as you press up. This limits the risk of impingement. Although you could do a two-arm dumbbell press, it’s generally easier for beginners to learn how to engage their core and keep their ribcage down when doing the one-arm variation. Not for beginners, those who lack thoracic spine mobility, or individuals with shoulder injuries. The barbell strict press is one of the most misunderstood movements out there, and if done improperly, it’s likely to cause back strain or shoulder tweaks. Keep the elbows lifted as you drive the bar up and back while you pull your body through the bar. The bar should be stacked directly overhead and you should be able to stand with the bar above your head comfortably when a good rep is completed. New lifters will often arch the back and forget to pull the body through. It’s essential to learn how to keep your ribcage down and core engaged to protect your lower back. The lat pulldown is a great way to train your lats and biceps, and the weight can be adjusted to fit your needs. This movement teaches you how to depress your scapula and engage your lats. It’s essential if you want to strengthen the muscles that’ll help you get good at doing pull-ups. Pulling your elbows in towards your sides will help you get more out of your lats. This isn’t for those who don’t know how to engage their lats, or those lacking relative body strength. The pull-up is one of the best upper-body pulling exercises, but most beginners rely too much on their biceps when first learning it. To compensate for a lack of strength, many beginners will either kip or perform half reps (i.e. not fully extending the elbows.) The lat pulldown is a great way to build the required strength before moving to the pull-up. And doing it the same way each time while hitting higher rep ranges will help you become technically proficient. This is a joint-friendly lift that most people can learn quickly. Starting with a neutral grip and rotating the palm as you press up will help you keep your shoulder safe throughout the entire lift. This lift is great for anyone from beginner to advanced because of all the stabilization required to control the dumbbells. Another upside is that you don’t have to worry about getting trapped underneath a bar; you can just drop the weight if you get stuck. 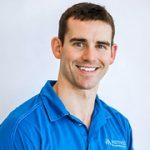 This is not for beginners who don’t understand the technique or those with shoulder problems. The bench press is a staple exercise in most training programs, but it’s unfortunate to see how many people tear up their shoulders when doing it. In order to bench press and keep your shoulders healthy, you’ll need to squeeze your shoulder blades together and press them against the bench for stabilization. Notice that you also need to keep your elbows tight to the body so they don’t flair. Think like a powerlifter when bench pressing (elbows tucked). When the elbows flair and the humerus rolls forward, you’re just asking for shoulder impingement down the road. The chest-supported row is a great way to develop the upper back and biceps without risking injury. The variety of different grips available makes it possible to work the inner and outer portions of the back giving you a powerful look. It isn’t super technical and it’s great for high-volume sets. Not for beginners or those with lower back issues. Sadly, it’s one of the most butchered movements in gyms. Doing it properly involves going through a full range of motion as you brace your core and pull the bar to your lower chest while having a bend in the hips. Most beginners lack the motor skills necessary to do this task effectively at first, which is why I recommend starting with a chest supported row. You’ll often see people getting over extended, forgetting to squeeze their shoulder blades, and rounding their upper back in an effort to grind out a couple more reps. This generally looks like a really bad version of a clean high pull. The most common rowing mistake is when lifters short-arm the movement by pulling to their hips or stomach in an effort to lift more weight than they can handle.